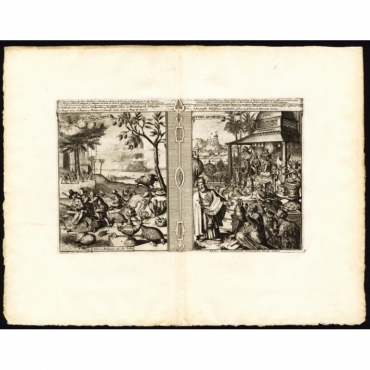 Collection of old prints depicting science and educations. In this category you can find technology prints, science prints, education prints, archeology prints, geometric prints and anatomy prints. Collectie oude prenten van wetenschap en educatie. In deze categorie vindt u technologie prenten, wetenschap prenten, educatie prenten, archeologie prenten, geometrie prenten en anatomie prenten. Antique Prints | Science & Educations There are 2 products. 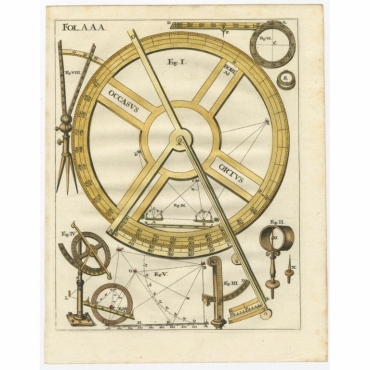 Antique print, titled: 'Occasus Ortus' - This plate shows a measurement devices from the 18th century.